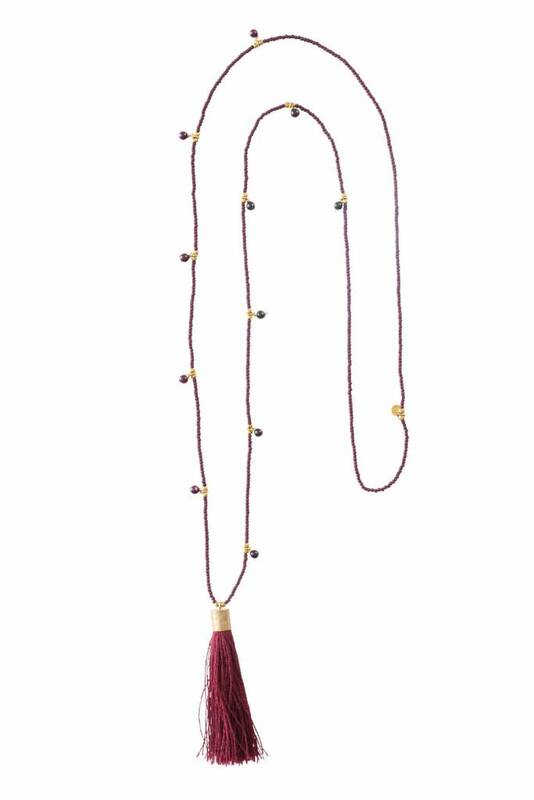 This necklace consists of a combination of coloured glass beads, faceted brass beads, metal beads, a gold plated brass coin with an image of a Dragonfly a big Moonstone gemstone and a suede tassel. 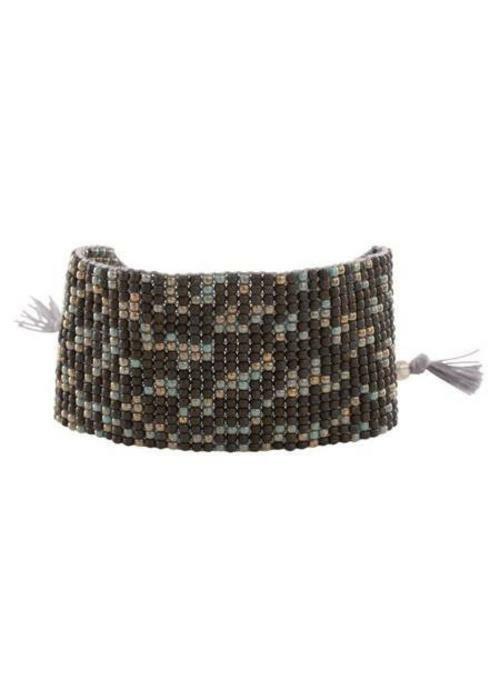 This bracelet consists of glass beads in 19 different rows Labradorite gemstone. 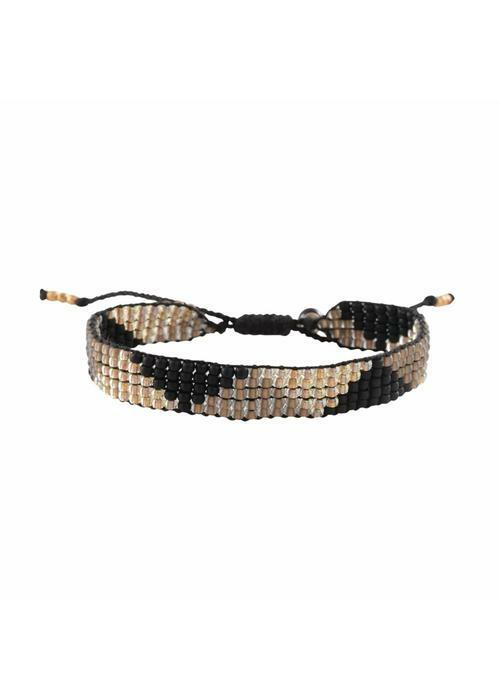 The bracelet is made of cotton thread with an adjustable sliding knot. 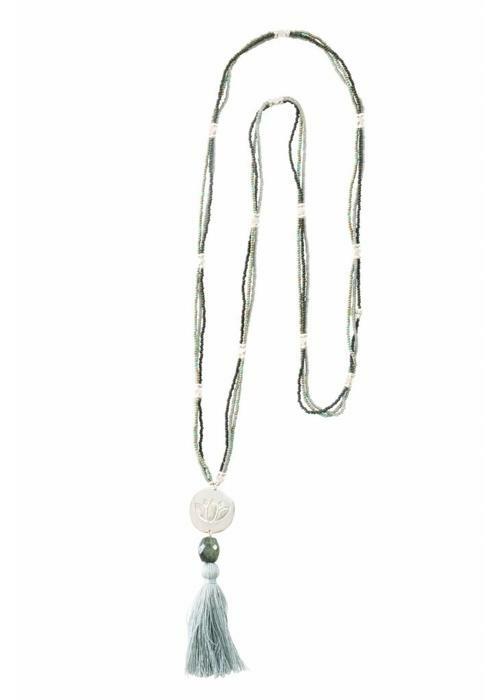 A Beautiful Story jewelry is Fair Trade and ethically produced in Nepal. 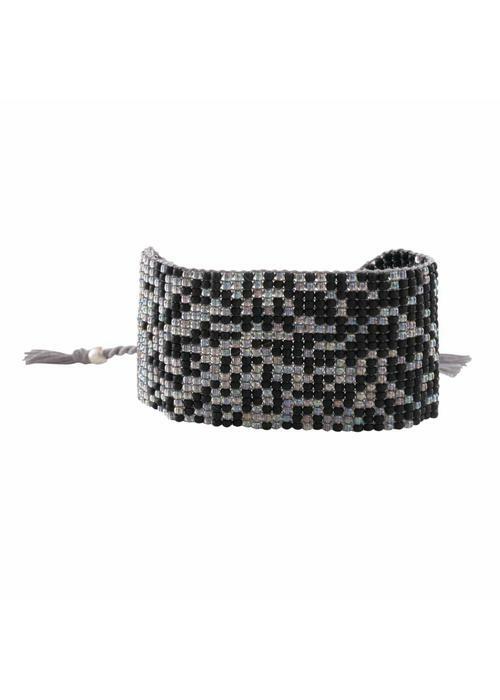 This bracelet consists of glass beads in 19 different rows and a Black Onyx gemstone. 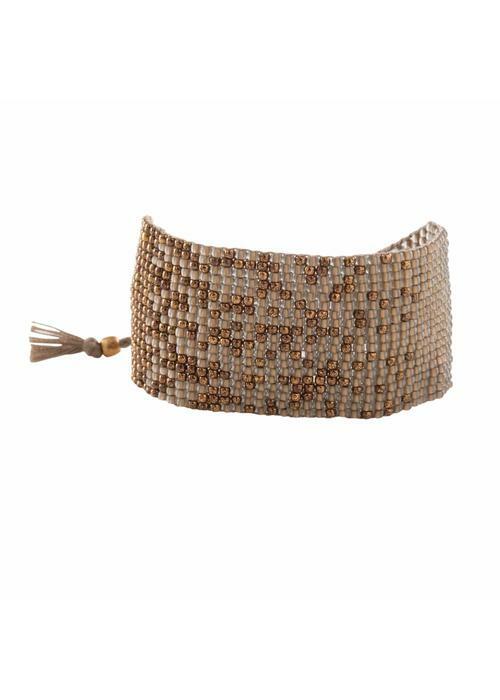 The bracelet is made of cotton thread with an adjustable sliding knot. 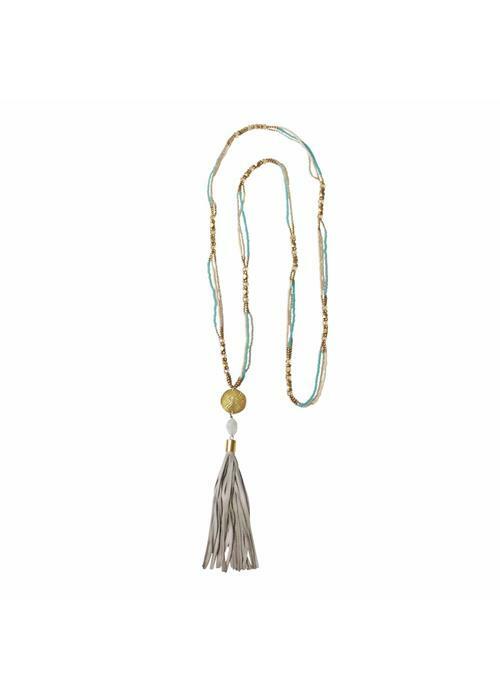 A Beautiful Story jewelry is Fair Trade and ethically produced in Nepal. 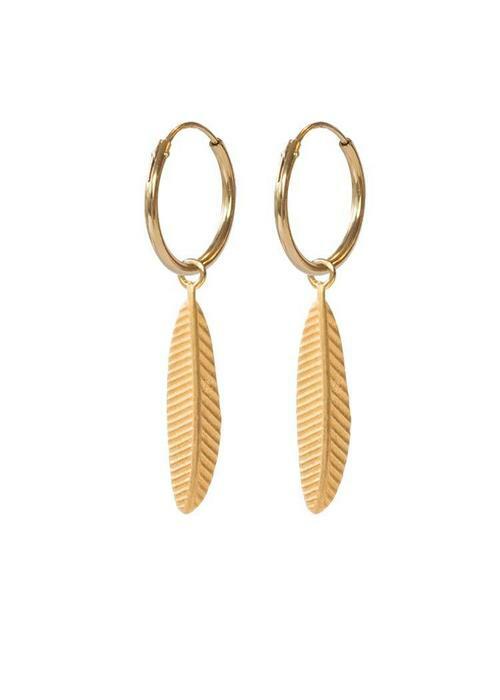 These earrings are sterling silver gold plated and are an uneven pair. 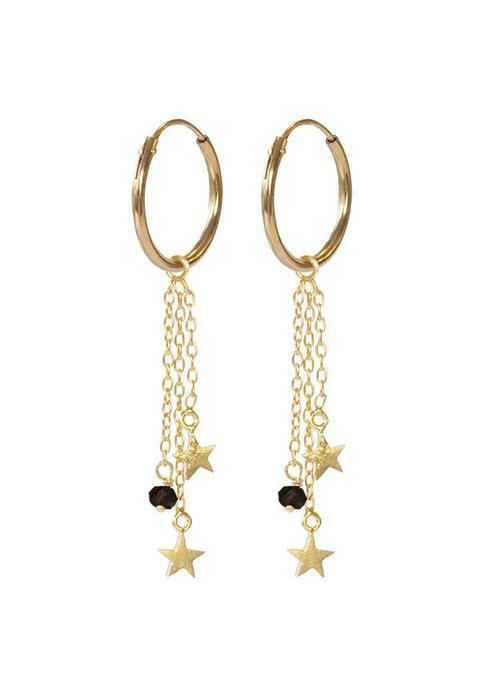 One earring has three chains, a small star is attached to two chains and a small garnet gemstone on one chain. 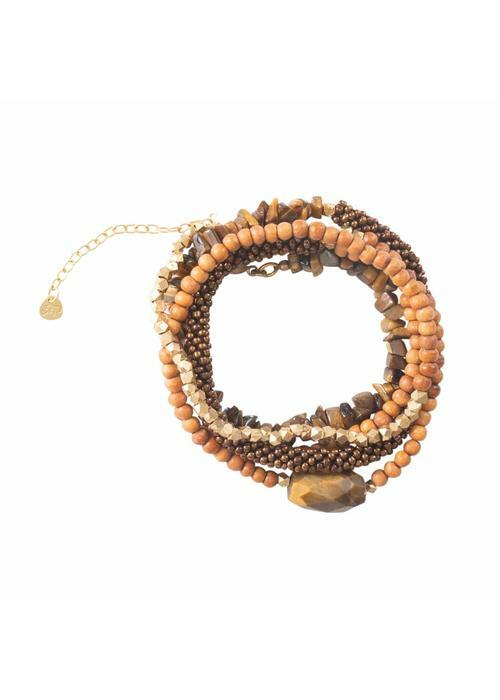 A Beautiful Story jewelry is Fair Trade and ethically produced in Nepal. 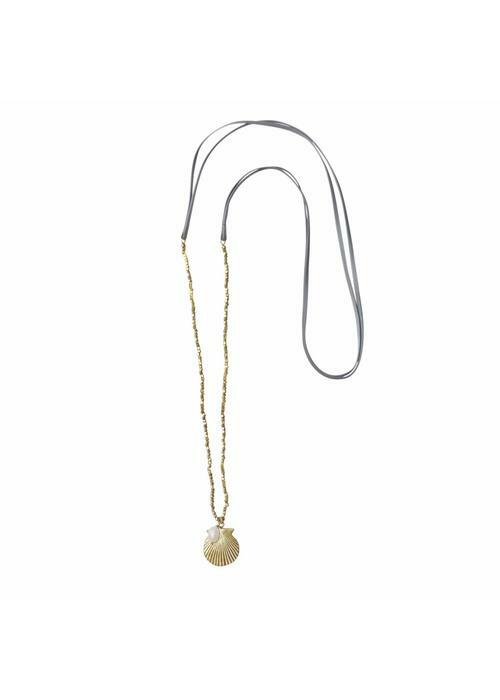 This necklace is made of glass beads which divides into two ends. On one end a Lapis Lazuli gemstone and on the other end a handmade medium coin with a Star symbol. 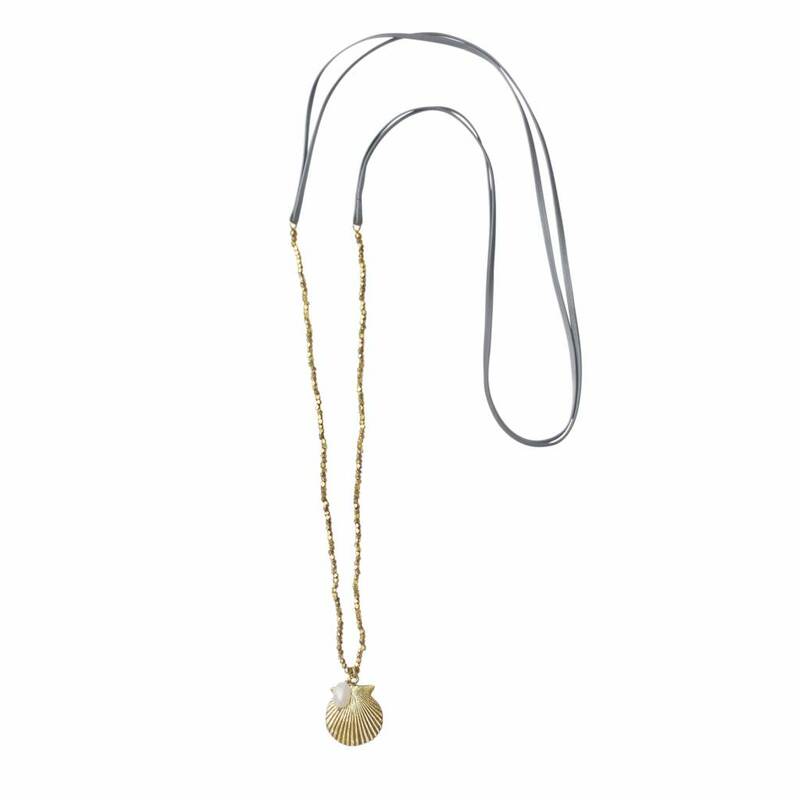 A Beautiful Story jewelry is Fair Trade and ethically produced in Nepal. 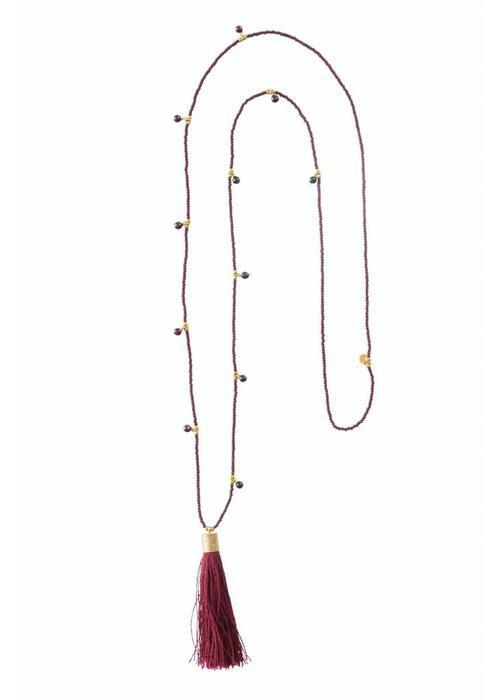 This necklace consists of glass beads, faceted brass gold plated beads and small Garnet gemstones. 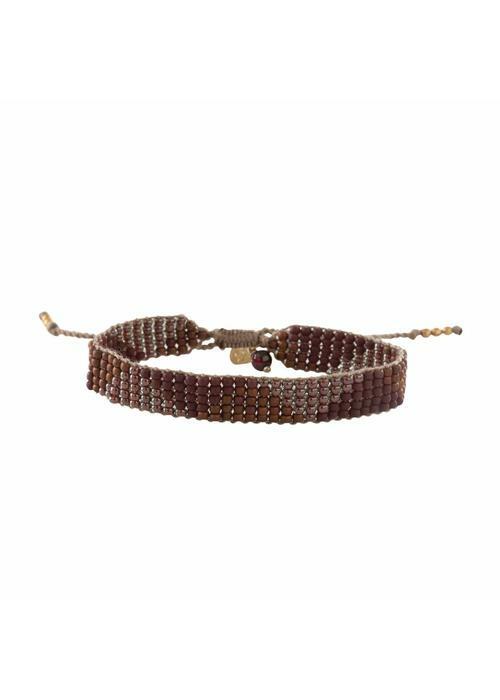 The Garnet gemstone increases your energy and creative mind. 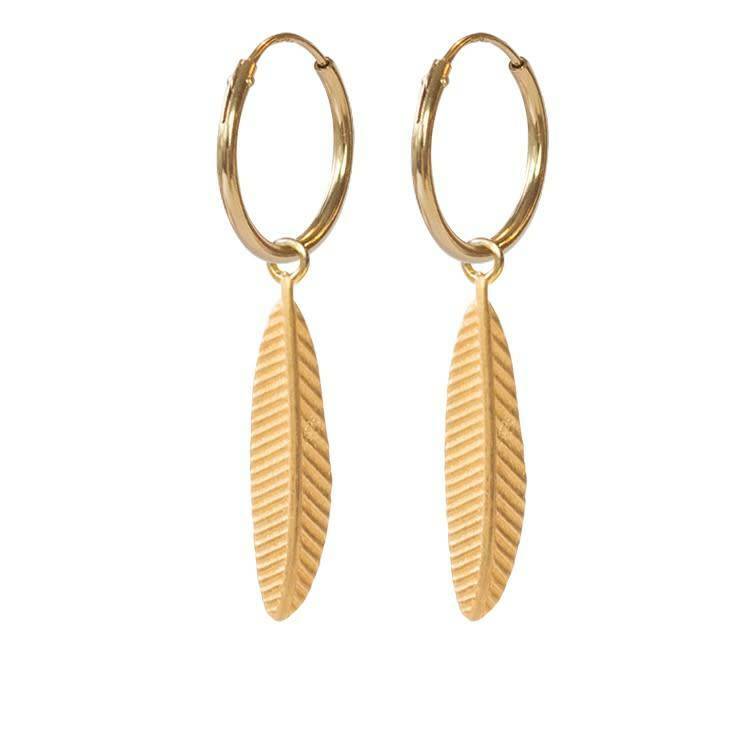 A Beautiful Story jewelry is Fair Trade and ethically produced in Nepal. 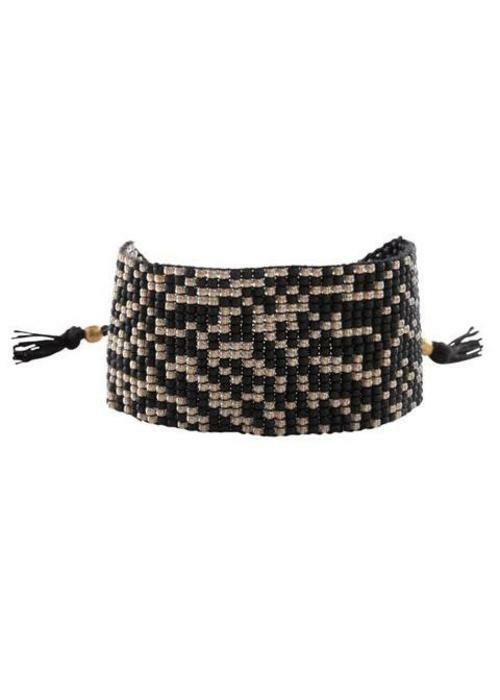 This bracelet consists of glass beads in 19 different rows Black Onyx gemstone. 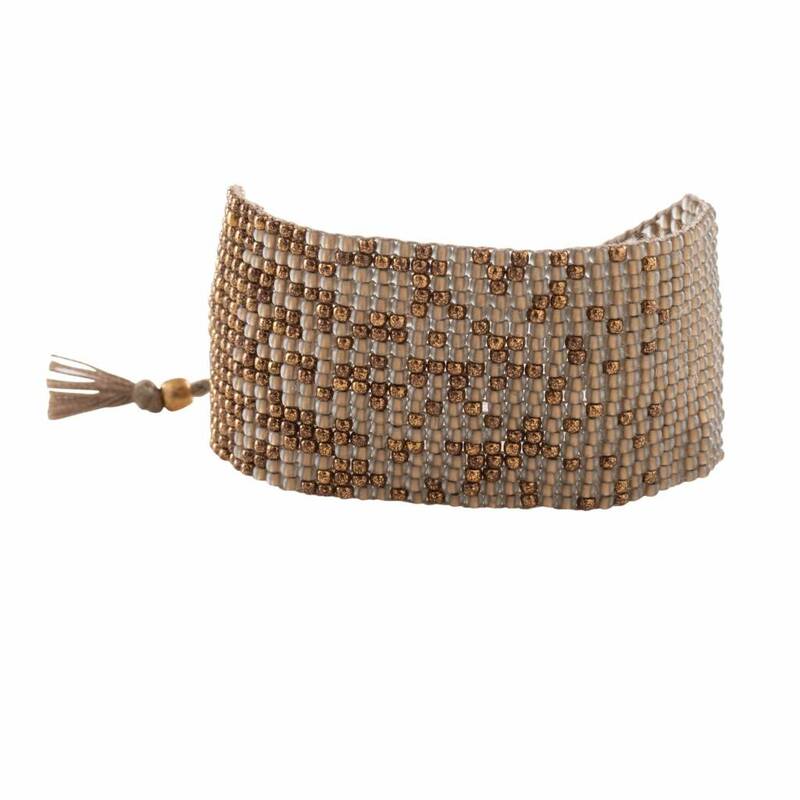 The bracelet is made of cotton thread with an adjustable sliding knot. 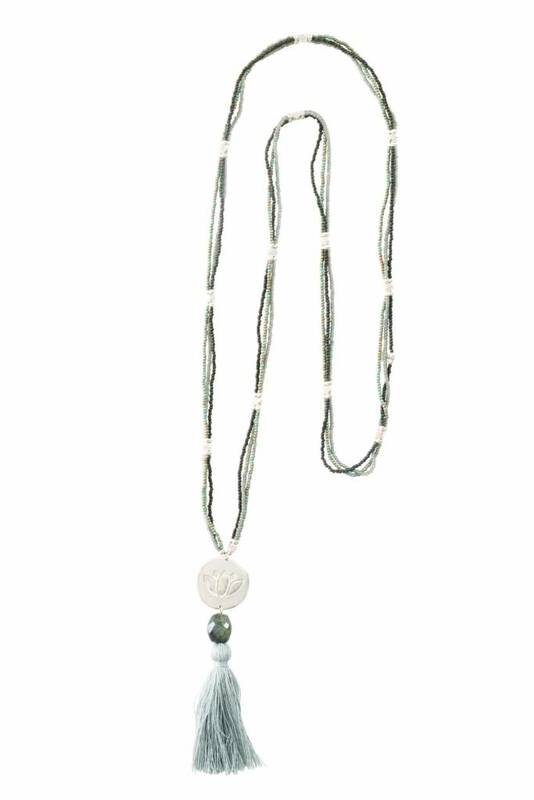 A Beautiful Story jewelry is Fair Trade and ethically produced in Nepal. 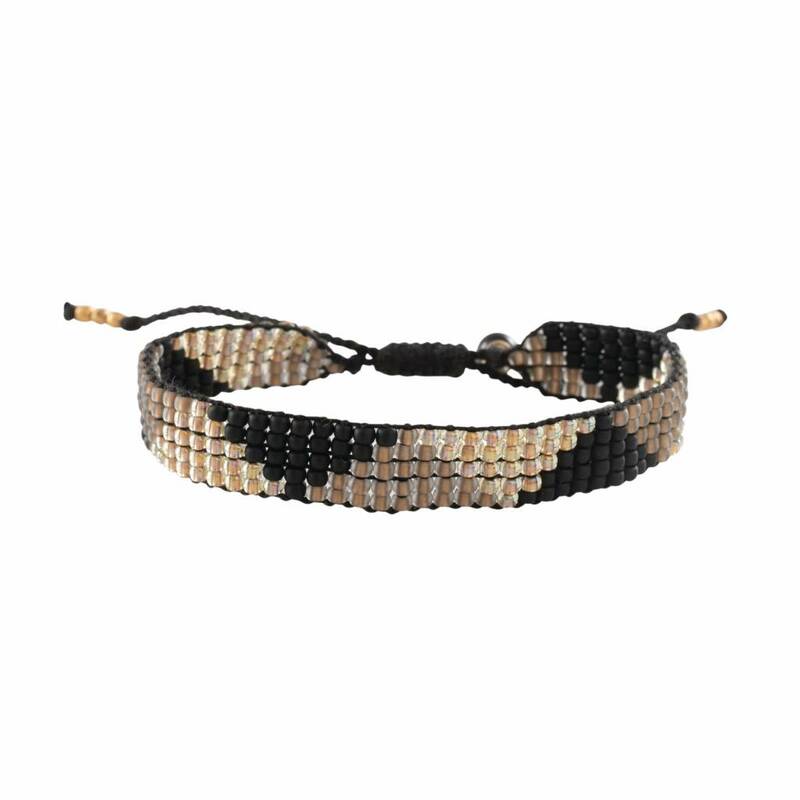 This bracelet consists of glass beads in 19 different rows and a Tiger Eye gemstone. 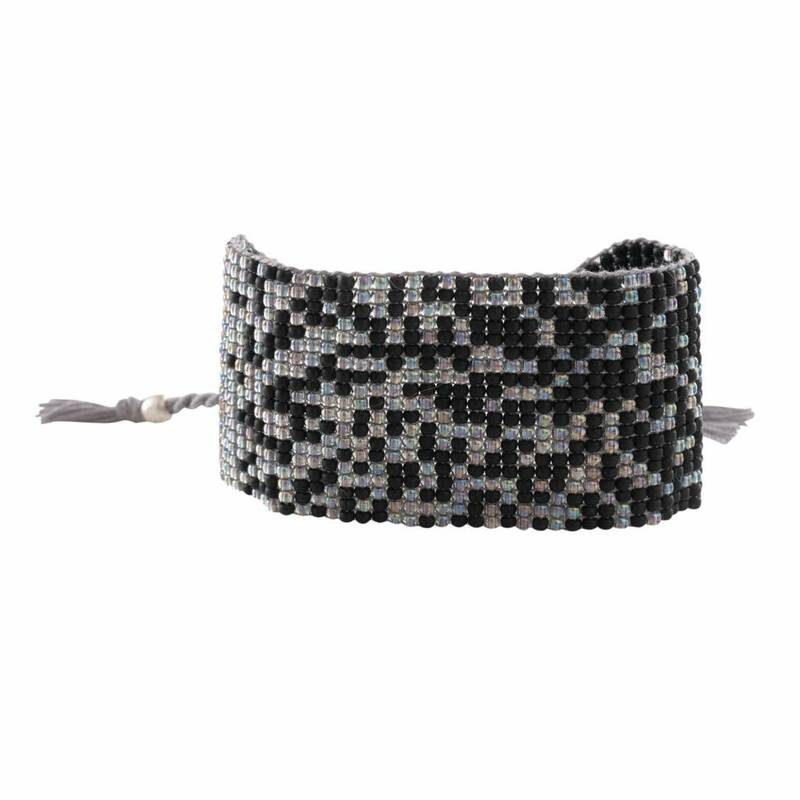 A Beautiful Story jewelry is Fair Trade and ethically produced in Nepal. 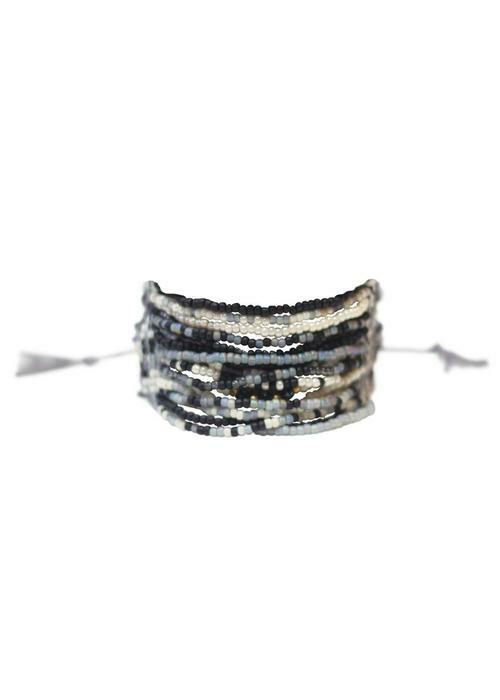 This bracelet can be wrapped around five times. It shows different patterns, made with glass beads, faceted brass beads, Tiger Eye gemstone chips and a big Tiger Eye gemstone bead. 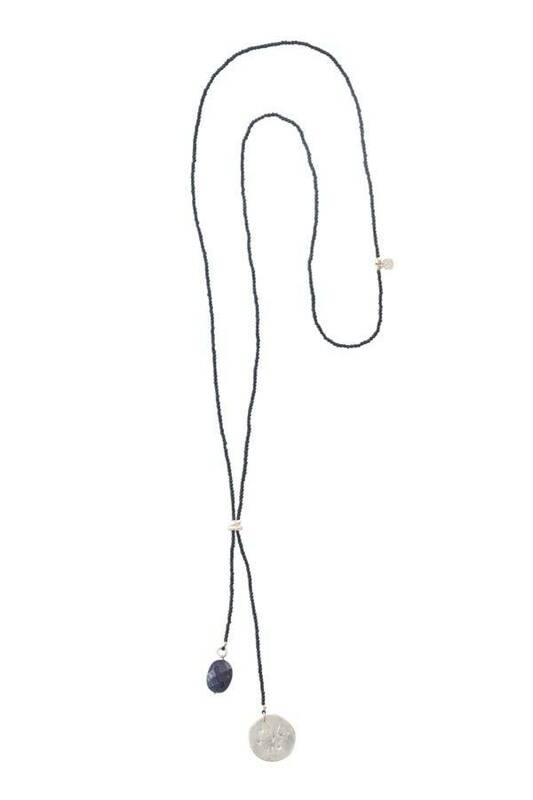 A Beautiful Story jewelry is Fair Trade and ethically produced in Nepal. 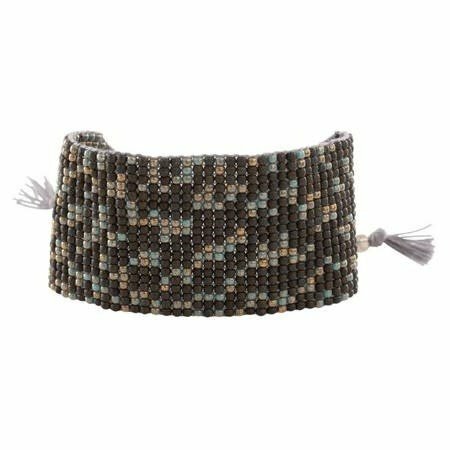 This bracelet is made with a complex knotting technique. 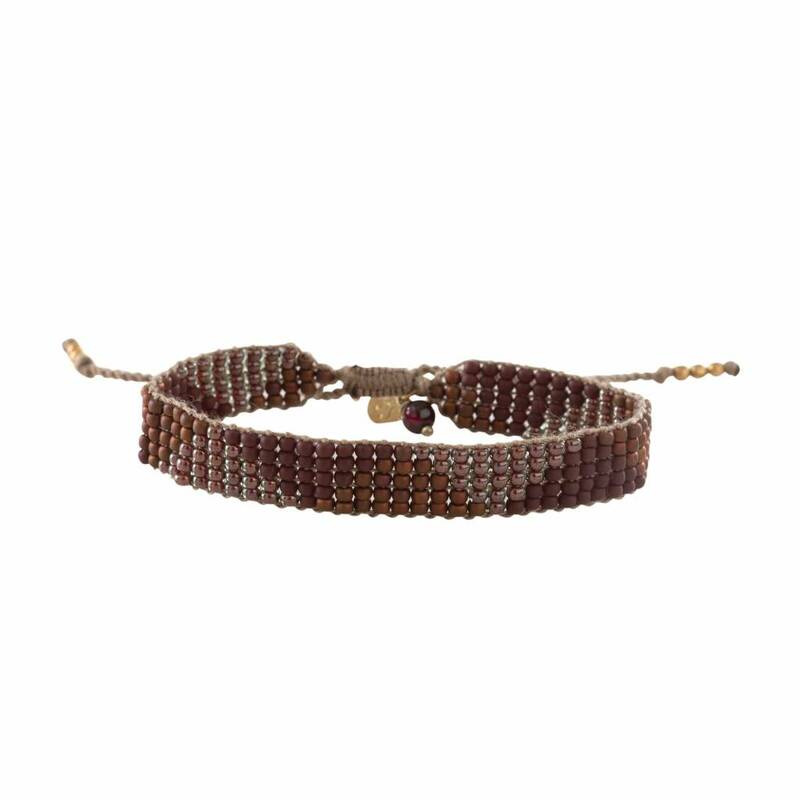 The Garnet gemstone increases your energy and creative mind. 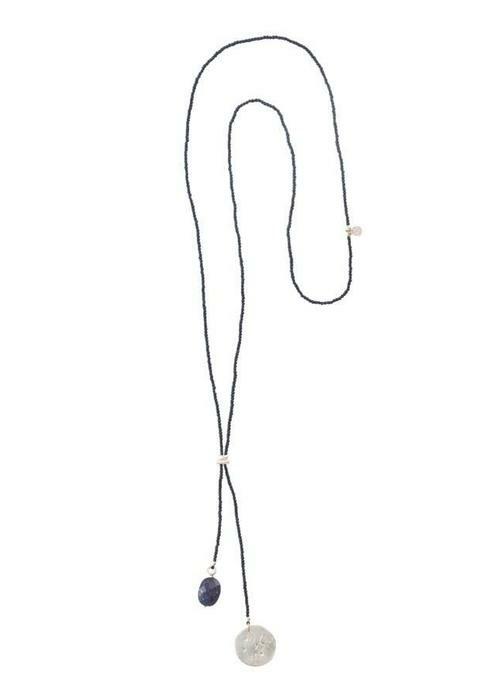 A Beautiful Story jewelry is Fair Trade and ethically produced in Nepal. 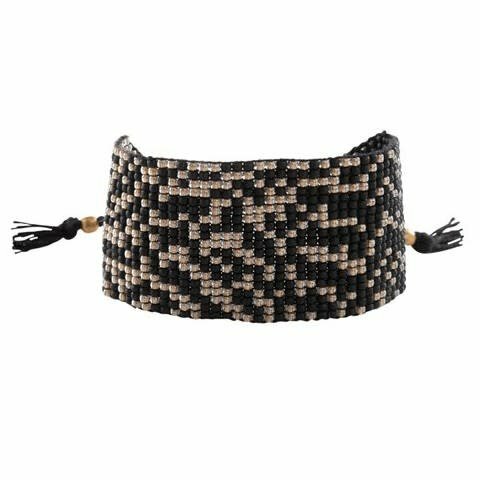 This bracelet is made with a complex knotting technique. The Black Onyx gemstone symbolizes concentration and determination. 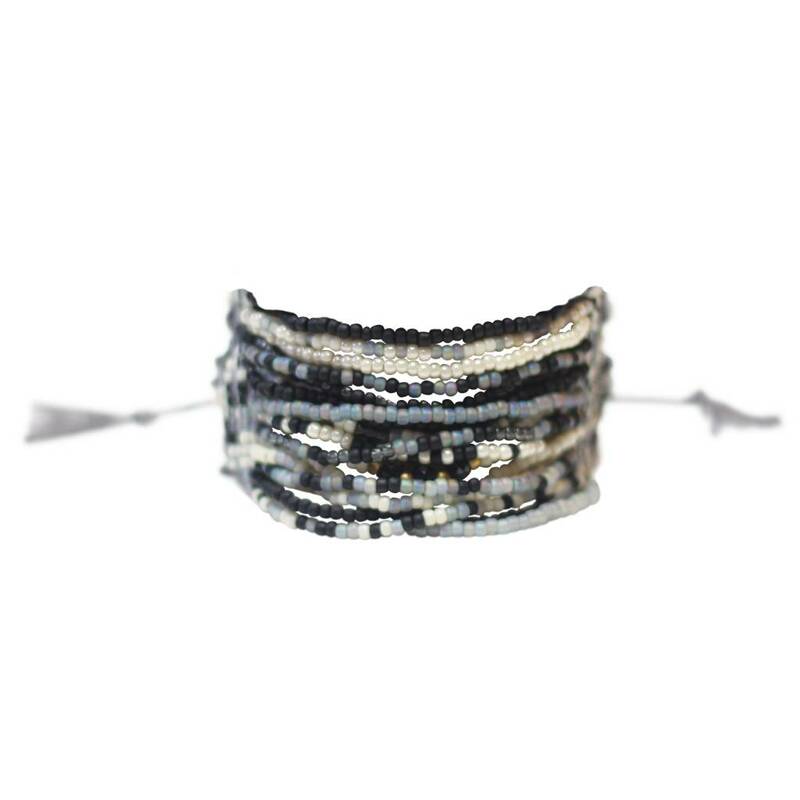 A Beautiful Story jewelry is Fair Trade and ethically produced in Nepal. 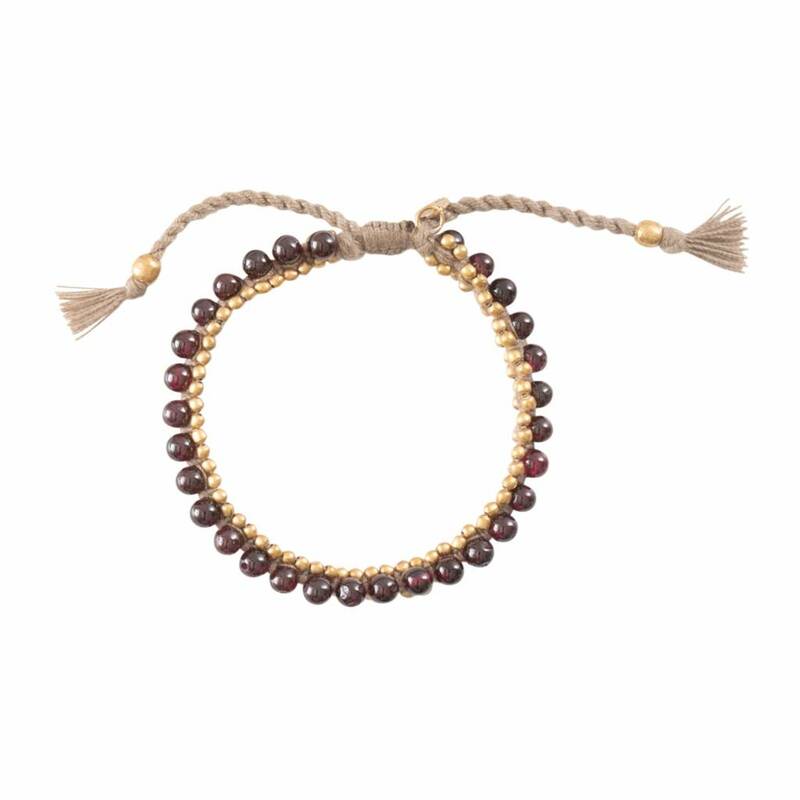 This bracelet consists of glass beads in two different colours in the shape of a triangle, on a cotton thread with an adjustable sliding knot. 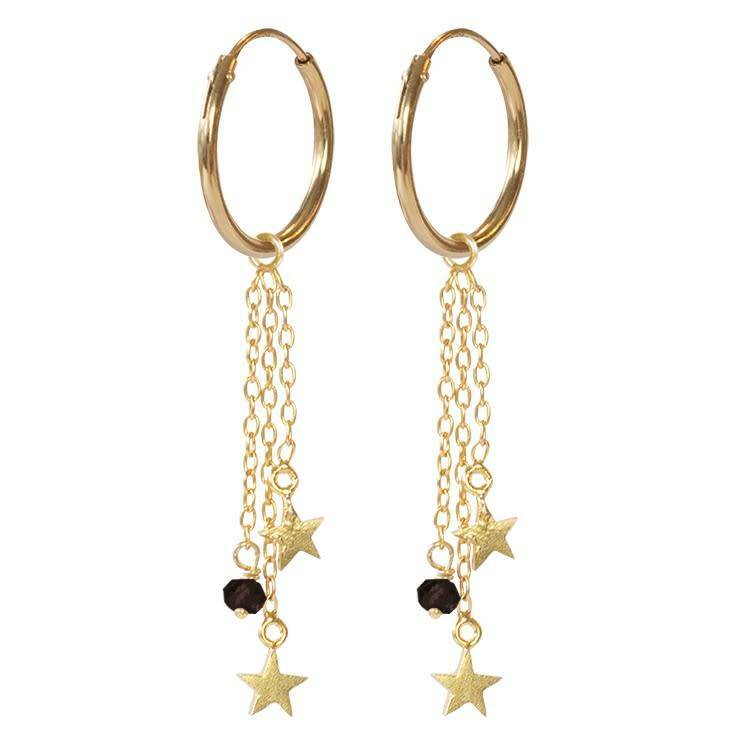 A Beautiful Story jewelry is Fair Trade and ethically produced in Nepal. 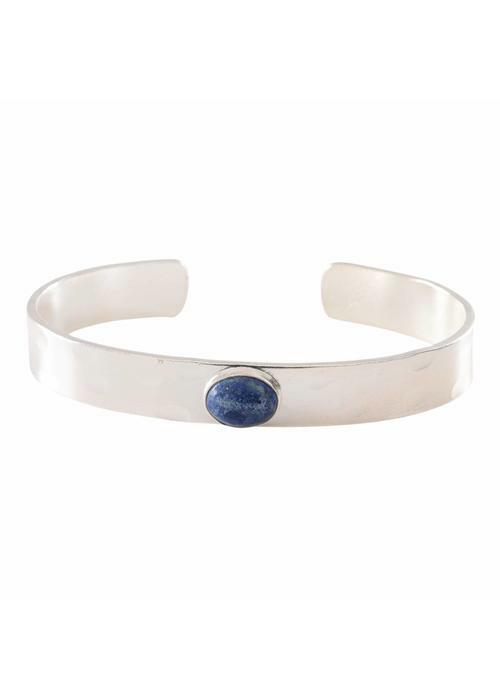 This bracelet is silver plated brass with a Lapis Lazuli gemstone. 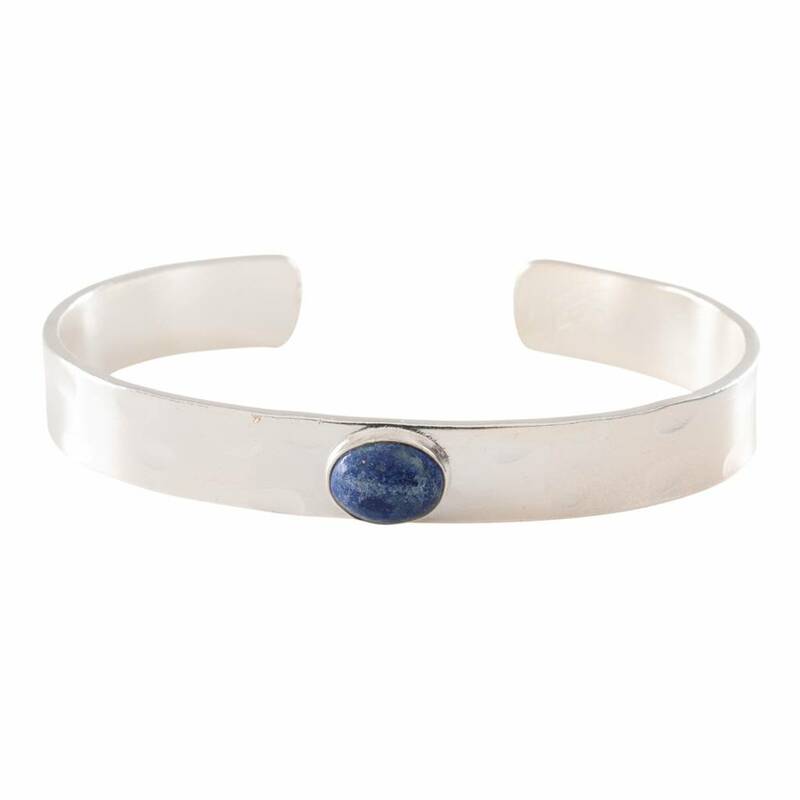 The Lapis Lazuli gemstone stands for connection, truthfulness and improves friendships. 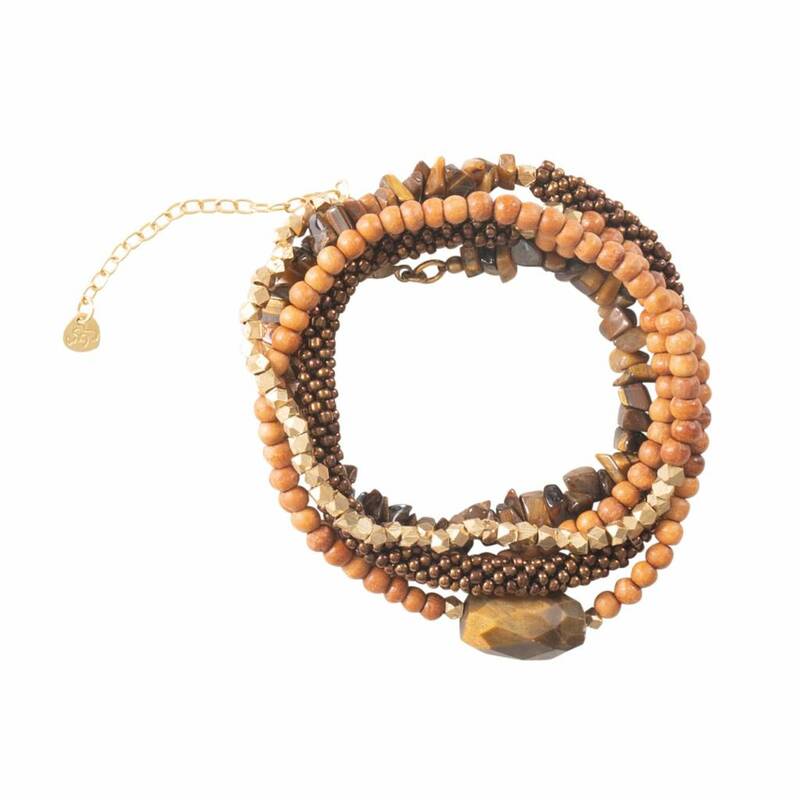 A Beautiful Story jewelry is Fair Trade and ethically produced in Nepal. 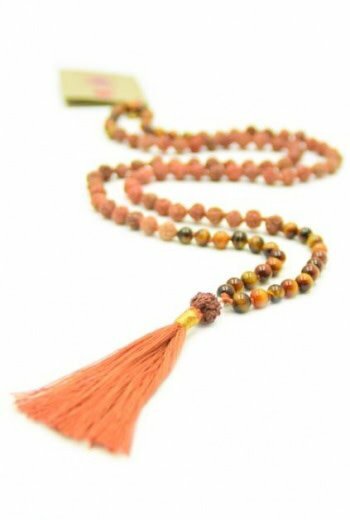 The 'Lucky Jasper mala necklace' is made of Rudraksha's, combined with Jasper. 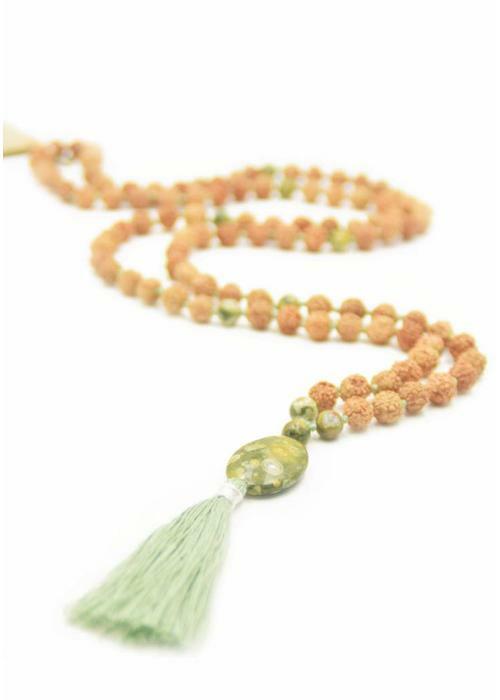 As an accent the mala has an oval Green Jasper above the tassel. 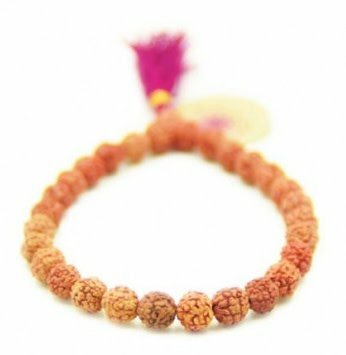 The mala belongs to the 4th chakra. The 'Gold Dust Mala necklace' is made of unique Rudraksha's, combined with Tiger's eye. 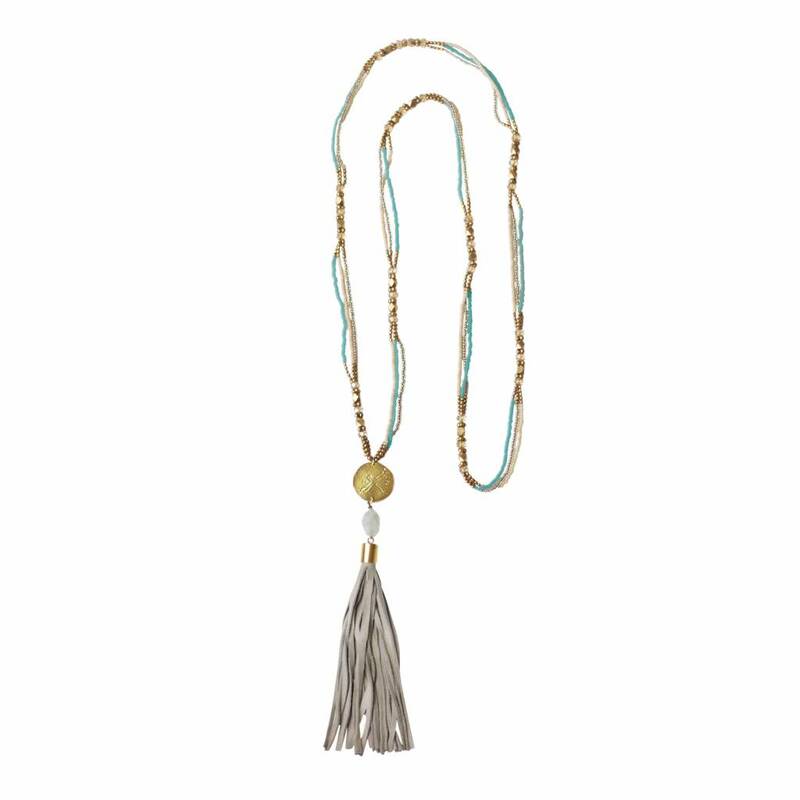 The mala is finished with a nice tassle. 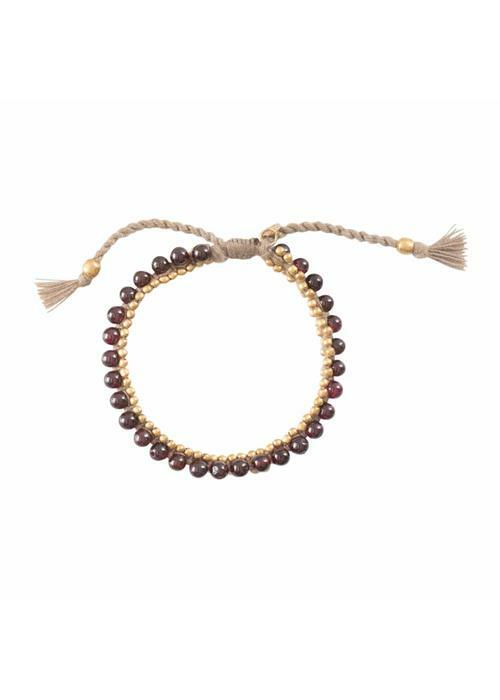 The 'Wisdom mala bracelet' is made of miniature Rudrakshas, ​​interspersed with Amethyst beads of the same, refined size. Works on the 6th and 7th Chakra. 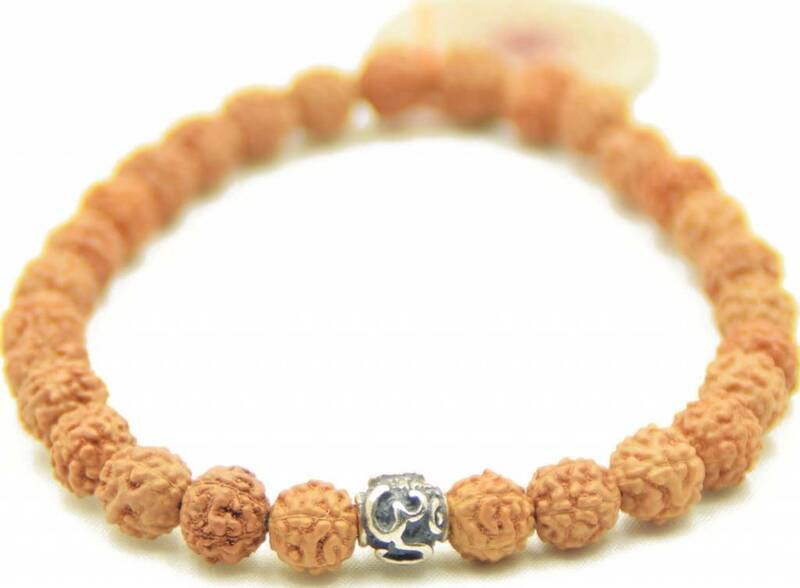 The 'Silver Aum mala bracelet' consists of unique Rudraksha's with a beautiful 9.25 Sterling Silver, Aum bead. 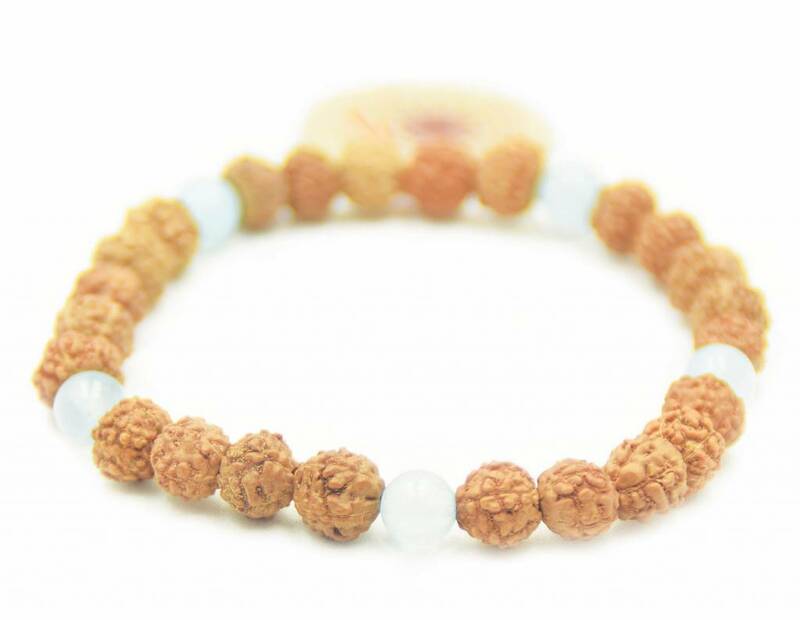 This bracelet is made of Rudraksha's, interspersed with various Blue Lace Agate beads. Belongs to the 5th Chakra. 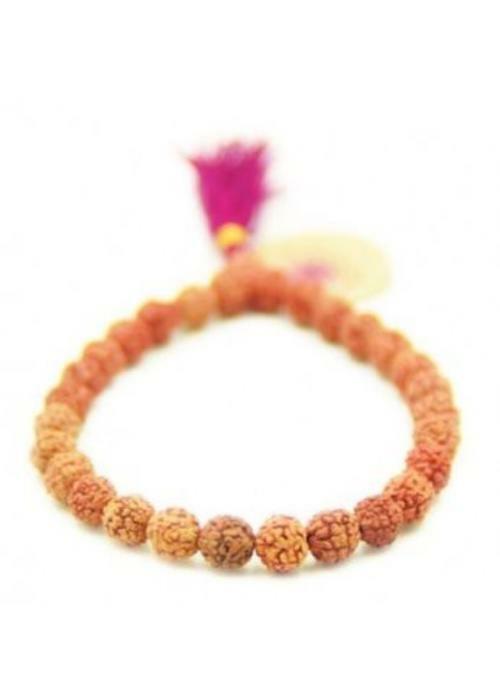 The 'Rudra mala bracelet' is made of unique Rudraksha's and provided with a dark red tassel.